In this “By the Numbers” statistic post, we take a look at Instagram Statistics and facts, the world’s largest photo sharing social network. Find out below how many people use Instagram, user activity, revenue totals and much more. 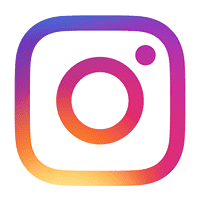 Instagram was started in 2010 when Kevin Systrom and Mike Krieger pivoted their location-based check-in platform, Burbn, because of the success of competitor foursquare in the space. Their re-focus centered on mobile photo-sharing, which became what we now know as Instagram. It was originally launched as an iOS-only app and remained so until 2012. 2012 proved to be a huge year for Instagram. Not only did they launch their highly anticipated Android app, but they also were acquired by Facebook scoring the founders and investors of Instagram a monster haul. Instagram has quickly gone from a trendy iOS-only app, to a massive social network with Android and web presence. It hasn’t shown any sign of slowing down, and has grown exponentially since the Facebook deal. They have truly flourished as a Facebook property but have managed to retain their own independent identity, branding and following over the years. Here is every Instagram Statistic you need to know. How many people use Instagram? How many Instagram users are on it daily? How many Instagram accounts can you have? How many seconds can an Instagram video be? How many people are you allowed to follow on Instagram? How many people can you group message on Instagram Direct? 64% of college students consider Instagram the most narcissistic social media service. Video posts on receive 2x the engagement of other posts on Instagram. Report 2: Billion Users Club Report (Android, Apple, Facebook, Messenger, Google, Instagram, Microsoft, WeChat, WhatsApp, YouTube). Report 4: Photo Sharing Company Report (Flickr, Imgur, Instagram, Pinterest and Snapchat).